In the video below, you can see our partner organization “Delhi Stay” recently celebrating the festival of Holi with volunteers in India. Holi celebrates the beginning of Spring. Holi festivities mark the beginning of new year to many Hindus. It also has a religious purpose, symbolically signified by the legend of Holika. The night before Holi, bonfires are lit, in a ceremony known as Holika Dahan. People gather near fires, sing and dance. The next day, Holi, also known as Dhuli in Sanskrit, is celebrated. Children and youth spray colored powder solutions (Gulal) at each other, laugh and celebrate, while elders tend to smear dry coloured powder (Abir) on each other’s face. Visitors to homes are served with Holi delicacies, desserts and drinks. After playing with colors, and cleaning up, people bathe, put on clean clothes, visit friends and family. Holi is primarily observed in India, Nepal, and other regions of the world with significant populations of Hindus or people of Indian origin. The festival has, in recent times, spread to parts of Europe and North America as a spring celebration of love, frolic, and colors. 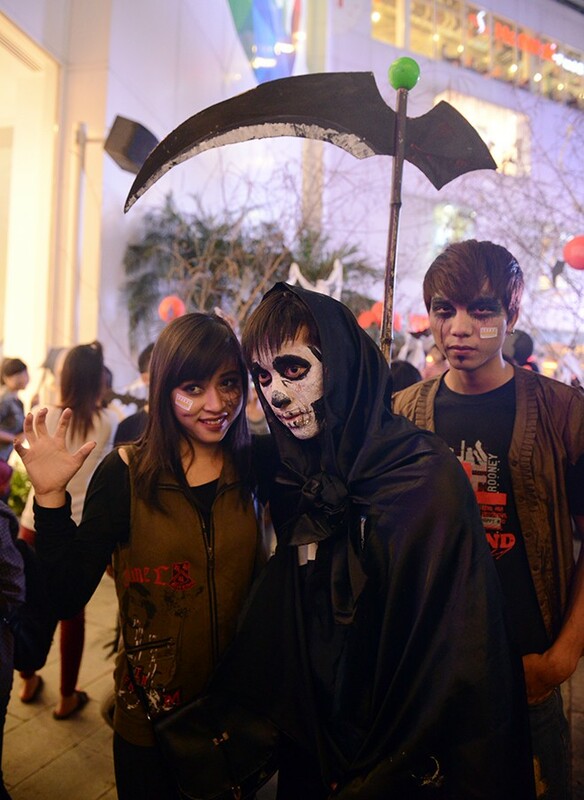 The VietNamNet Newspaper has some wonderful photos from Halloween in Vietnam.